SYMPLA's Camera Body Support and Lens Support help create a more stable, vibration-free platform for shooting. Filming with long telephoto lenses on HDSLR cameras or camcorders means using the lens L-bracket as the connection between camera and rig, which creates a less than ideal weight distribution and means that the slightest movement or touch of the camera or lens (such as pressing ""Rec"", or focusing the lens) produces visible camera shake and vibration that has to be edited or removed in post-production. The body and lens supports are vertically adjustable to rest firmly against the camera body and lens to damp and eliminate vibration, and to make your whole rig more stable and secure. both supports are rubber-coated to protect camera equipment. The SYMPLA Lens Support has a rubber-coated V-profile element that can be raised until it rests solidly against the lens in order to stop it from vibrating when the lens L-bracket is being used to connect the camera to SYMPLA. 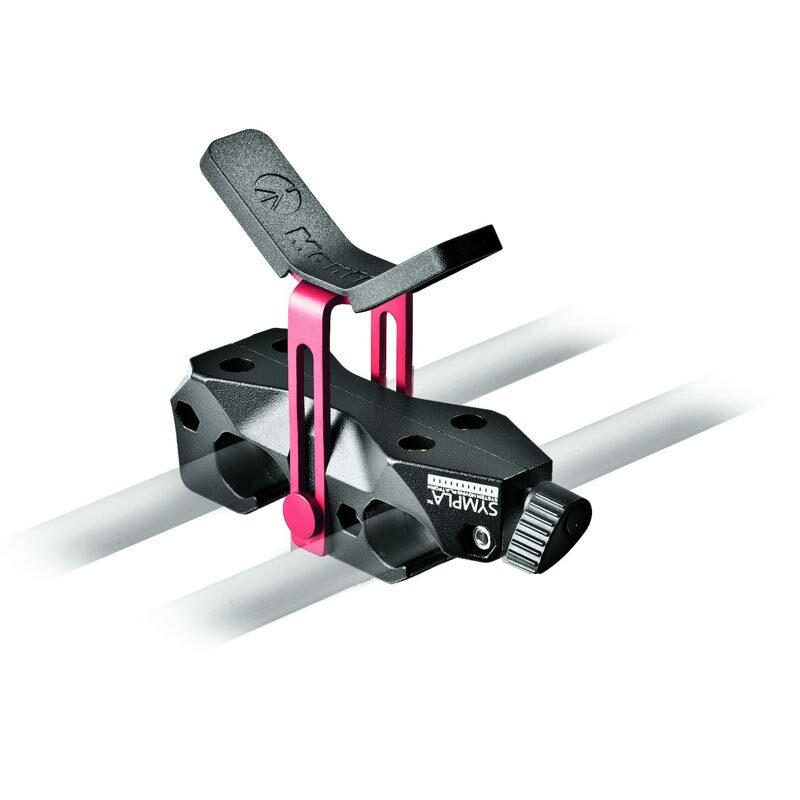 A repositionable ratchet locking lever blocks height adjustment. To cover greater height ranges, an additional SYMPLA V-Offset can be used with the Lens Support.